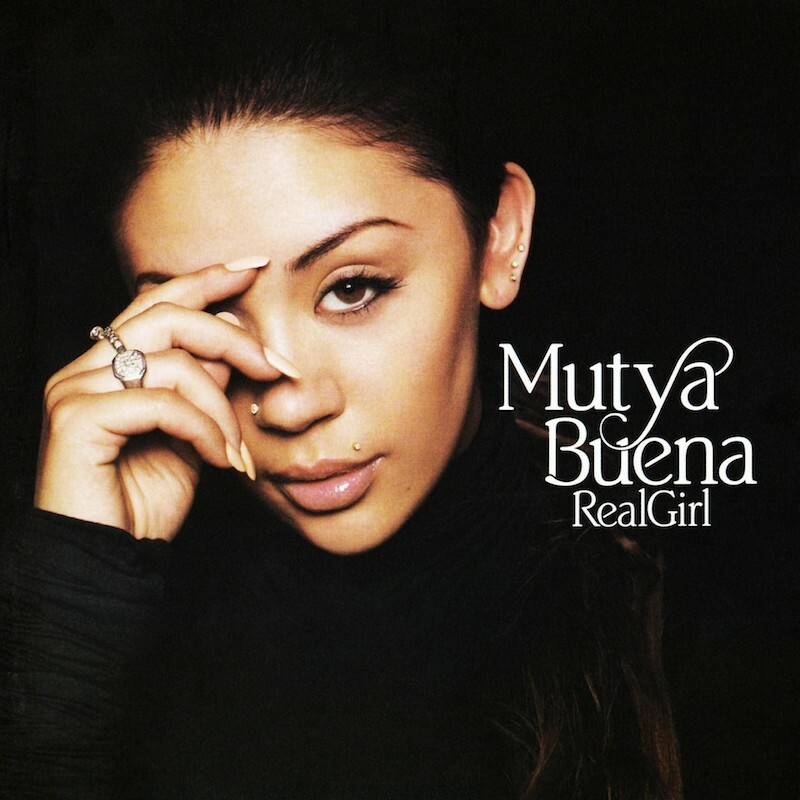 Today’s POP RESCUE is the debut solo album from former Sugababes singer, Mutya Buena – Real Girl. When I heard that Mutya was going to embark on a solo career, I have to say that I was a complete sceptic. It seemed that she had only been in the Sugababes for a short while, and that she was following her former Siobhan. The album opens with third single, Just A Little Bit, opening with some wonderful bass and vocals, before turning into something that reminds me a bit of Beverley Knight. It’s gentle, it’s reminiscent of a 70’s sound. Here Mutya states that ‘I’m ready to give more than just a little bit‘ – perhaps a statement about how she was ready to release this solo project. For some reason this single only reached #65 in the UK chart. When the single, (and second track here), Real Girl originally came out, I realised that I was wrong about Mutya. This woman can sing, and sing alone. I loved it, complete with the use of the It Ain’t Over Till It’s Over snippet from Lenny Kravitz. Again, and perhaps courtesy of the Kravitz sample, we have a warm 70s feel. This was a #2 hit for her, and remains her highest charting non-Sugababe track. Second single Song 4 Mutya (Out Of Control) with Groove Armada (and with Karen Poole and Mutya on co-writer credits) features here, complete with those lyrics that have led many to speculate that this was an attack on her former band-mates, and her replacement (something that Mutya has repeatedly denied). This song was apparently originally Song 4 Estelle (featuring Estelle) but her vocal performance wasn’t as strong as Groove Armada had hoped, so they switched to the recently free Mutya. Breakdown Motel is the first non-single track of the album, and it’s a great showcase for Mutya’s vocals on a slower track. This follows on in the faster Strung Out, which helps to show the strength in her voice. These two tracks are both relatively sad and downtempo, but they are both brilliant. It’s Not Easy is the first track to remind me of her musical past, and I could imagine this being a Sugababe track. There’s some lovely sounding instruments pitched against Mutya’s vocals on Suffer For Love, although it is undoubtedly an album track. The tempo increases, with the track Not Your Baby, which should make you at least jiggle a bit. It’s laced with strings and brass sections, an infectious beat and comes complete with catchy lyrics. This a fantastic track, and one that I think really should have been a single. Slower track Wonderful pitches her vocal range against a piano, and they (both) really shine here. Again, this feels a bit Sugababe in subject and sound, but it’s still perfectly formed. Next up is a collaboration with the late Amy Winehouse on backing vocals, on a ‘derivative’ cover of Be My Baby (retitled here to the obscure B Boy Baby), with plenty of new lyrics. This became Mutya’s final single, and which languished at #73 in the UK singles chart despite Winehouse’s recent success with Mark Ronson on hit Valerie. Up next is This Is Not (Real Love) – her duet with George Michael, which was released as a single back in 2006. It’s a gentle track, despite a few scattered record scratches. Their soulful vocals are perfectly matched, and it is definitely a George Michael track – it’s soft and slow, and completely at home on one of his albums. However, the ending ad lib section goes on far too long. Penultimate track Paper Bag picks up those record scratches again, and is more up-beat, and once again shows off Mutya’s vocal range perfectly. The album closes on the wonderful track My Song. It puts her against a great synth/organ, a piano, and it has an all encompassing warmth to it. For those of you who might play this album on loop, it’s also the perfect track to run into the first song again. But as it stands, it’s a great little track to close the album with. In my opinion, there is one thing made blatantly clear on this album – it’s that Mutya sits perfectly between Gabrielle and Amy Winehouse in terms of vocal prowess. She can turn a soulful tune, and also belt something out with power. Please come back soon, Mutya. Where is Mutya Buena now? Mutya and her two original fellow former-Sugababes are now part of a group titled MKS (Mutya Keisha, Siobhan), and have performed a few small gigs, released a single called Flatline, and are currently recording. The current Sugababes line-up are currently in hiatus. Posted in 2000s, Amy Winehouse, George Michael, Groove Armada, Mutya Buena, SugababesTagged 2007, Amy Winehouse, B Boy Baby, George Michael, Groove Armada, Just A Little Bit, MKS, Real Girl, review, Song 4 Mutya (Out Of Control), This Is Not (Real Love)Bookmark the permalink.